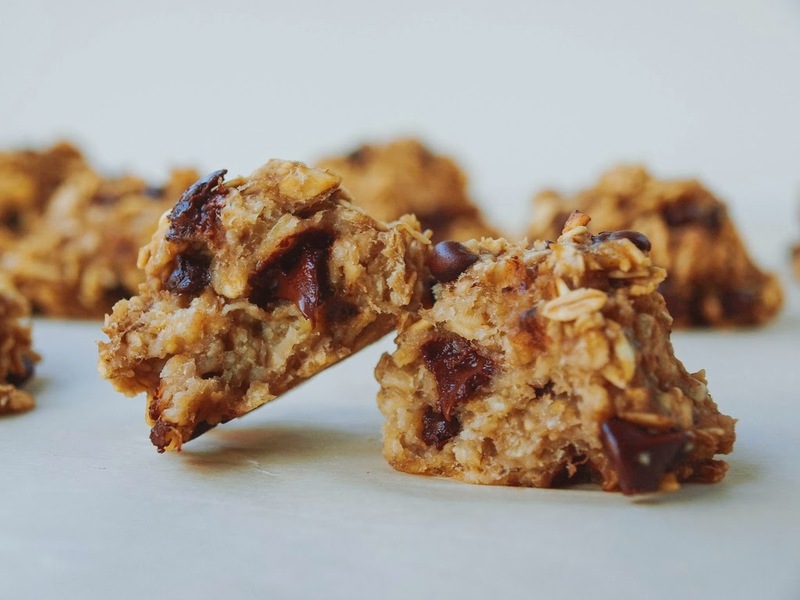 This amazing Chocolate Chip + Banana + Oatmeal Bites (4 Ingredients) recipe is so amazing and helthy in the same time. My kids are crazy about it. It's much more healthier than sweets from store. I hope you like it. Enjoy! 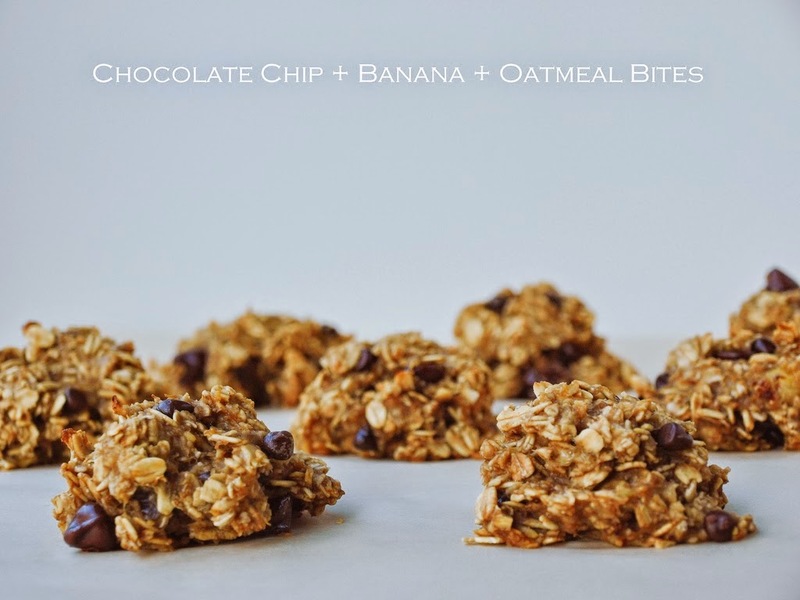 In a medium size bowl, mash bananas fairly smooth, a few small chunks is ok. Add oats and cinnamon, mix well. Add in chocolate chips, mix again. Grease a cookie sheet lightly with coconut oil. Using a tablespoon, scoop mixture and place on cookie sheet. I left mine in a dome shape, you could flatten it out a bit with your fingers to make a flatter shape. Should get anywhere from 12 -16 depending on the size you scoop out, if it was a heaping tablespoon or not. Bake in oven for 15 - 20 minutes. If you make your scoops dome shaped and on the larger side together, bake for 20 - 25 minutes. Remove from oven, let cool a few minutes before eating. Store leftovers loosely covered and eat within a day or two.